Flight Centre Travel Group’s (FCTG) powerful, pocket-sized chatbot travel assistant, is super-charged and ready to battle the travel grind on behalf of the country’s corporate road warriors. FCTG today is announcing the Australian arrival of Sam at the btTB GBTA conference in Sydney. 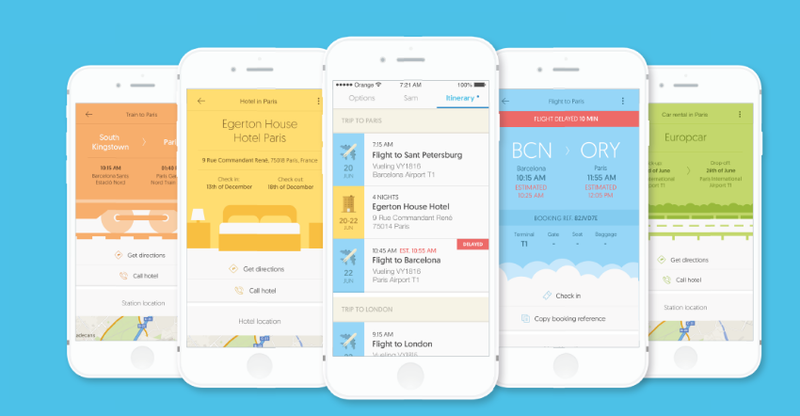 The award-winning mobile travel assistant app has been developed by the group’s innovation lab in Europe. Employing a blend of AI (artificial intelligence) and integrated travel consultant support, Sam overlays the most important features that a business traveller needs with the experience that a leisure traveller enjoys. Sam is now available for clients of FCTG brands FCM Travel Solutions and academic travel provider Campus Travel. FCTG’s SME business travel specialist Corporate Traveller and entertainment and sports travel brand Stage and Screen, will make Sam available for clients, second half of 2018. FCTG’s corporate division executive general manager, James Kavanagh, said today’s launch was an exciting milestone for the Australian business travel community following the launch of Sam in the UK and the USA in 2017. Mr Kavanagh said Sam fulfilled the necessary travel management functions, but went a step further by tracking a traveller’s location, providing real-time information for traffic and flight delays, and featured interactive city guides, weather updates and gate changes. As part of FCTG’s announcement, customers will also be shown the new ‘Community’ functionality – which is a first for the Australian and global business travel industry. ‘Sam Community’ – soon to be released, taps into the knowledge and experience of a global community of business travellers, serving up user-generated tips and advice based on a traveller’s location or when they ask Sam for assistance or inspiration. FCM Travel Solutions general manager Melissa Elf said the tips and advice that would be available through the ‘Community’ function were provided by business travellers for business travellers. “Sam Community acutely focuses on the experience of the traveller and how to enhance that traveller’s situation then and there. By providing locally relevant and personalised advice that’s consistently up to date, the entire traveller experience is going to be safer, easier and more enjoyable,” said Mrs Elf. Sam will ensure Travel Bookers are aware of potential issues impacting their traveller(s) and prompt appropriate actions including booking changes and communication with the traveller to ensure their wellbeing. Sam will soon recognise the user’s location via a blend of itinerary information and GPS and match this to any critical incidents, triggering real time relevant alerts with an ability to respond with appropriate action for the individual traveller. Sam currently integrates with many leading service providers including Uber, Lyft and Certify, and is in the process of growing its integration with global travel suppliers.